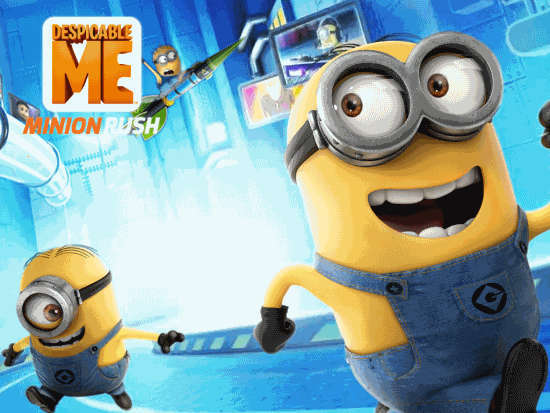 Despicable Me- Minion Rush is a free Windows 8 action game app. 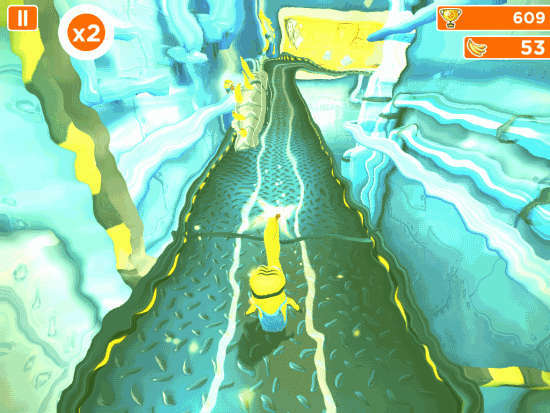 In this game you need to help a Minion to collect bananas while running in the Gru’s lab and Gru’s residential area (the main character from Despicable Me movie). In the meanwhile you need to protect the Minion from different obstacles. Also collect unique costumes, weapons, and power-ups. 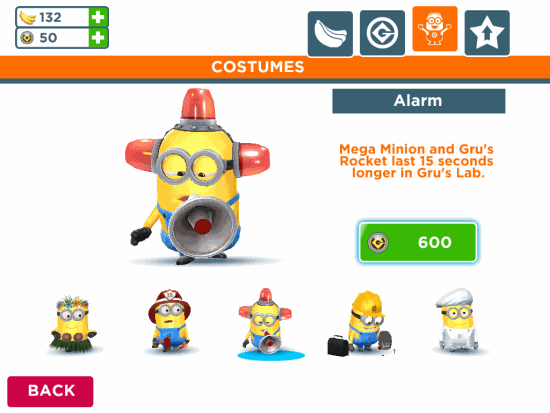 Customize your Minion with the collected items to stay longer in the game. You can also customize your Minion from many different and funny costumes like: Dad, Mom, Singer, Dancer, Alarm, Fire Fighter, etc. The game provides three different themes to enjoy: Gru’s Lab, Gru’s Residential, and EI Macho’s Lair. Fight with Vector (villain of the movie) to survive in the game and explore secret areas. Also complete different goals/challenges to become Minion of the Month/Year. 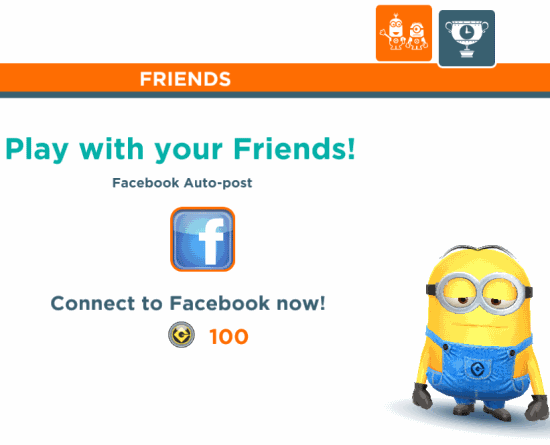 Share your score on Facebook and compete with your friends. You can check their score directly on the app and further compete with them. If you want you can also get notifications related to the game on your Windows 8 desktop. 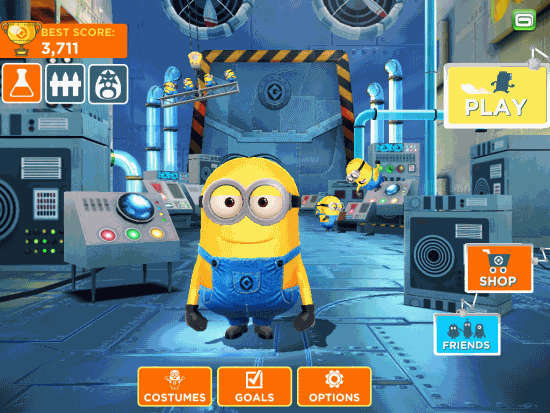 The game has 3D graphics, great animations to enjoy Minion moments. It also has amazing sound effects as well and 11 different languages to choose from. Despicable Me- Minion Rush is quite easy to play because of the interface, but is challenging as well. In this game you need to help out a Minion to collect bananas, power ups, etc. You need to save the Minion from different obstacle that are on the way of the Minion. Collect as many bananas and tokens as you can while running. Use these tokens and bananas to buy different stuffs for your Minions to upgrade them, like: Costumes, power ups, etc. Complete Missions and Achievements to get extra rewards. Use up arrow to jump, double press the same arrow to jump higher. Press down arrow to roll down. use left arrow to go left and right one to go right. You can get free Despicable Me- Minion Rush game app from Windows store by using the link given at the end of this review. After launching the app, you will find many different options: Play, Costumes, Options, Shop, Friends, 3 Different themes, and Goals. Adjust the music and volume of the game by clicking on Options. 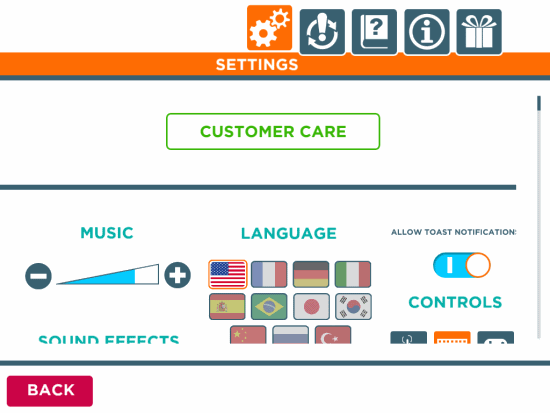 You can also change the language of the game from provided 11 options within Options. Click on Play option to start the game. I have explained the controls above (in the gameplay section). Run your Minion in the Gru’s Lab and collect bananas. You can also collect different costumes and power-ups on the way. Try to protect the Minion from different obstacles. The speed of the Minion increases with the distance covered in a single run. Try to collect as many bananas and tokens a you can. Explore many different levels and secret areas while running. Use these tokens and bananas to buy costumes and power-ups for your Minion. Each costume has its own additional feature. Choose of as per your choice and tokens you have. Add your Facebook account to this game. It will auto post your scores in your Timeline. And if your friends also play this game, then their score will be displayed in your game app as well. Complete different allotted goals to compete with your friends and to get additional rewards and achievements like Minion’s of the Month/year. The game provides three different themes to play: Gru’s Lab, Gru’s Residential, and EI Macho’s Lair. But you need to complete one to unlock another theme. Also check: Pacific Wings, Skiing Fred. 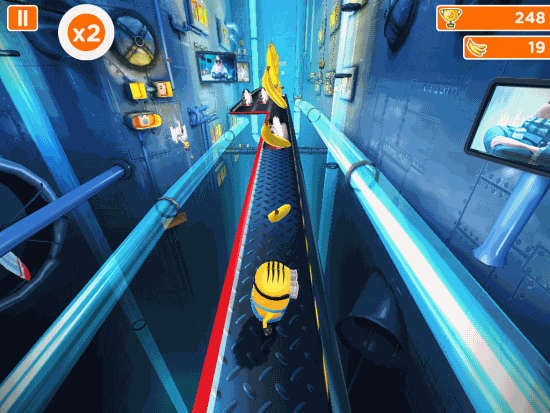 Despicable Me- Minion Rush is a free Windows 8 action game. The game is highly addictive and quite fun to play. I personally enjoyed this game a lot. The best thing I like about the game is its 3D graphics and different themes. The game manages to keep you busy for hours. The animation of Minions and their voices while running will definitely make you laugh. You should definitely try this game. Get Despicable Me-Minion Rush here.